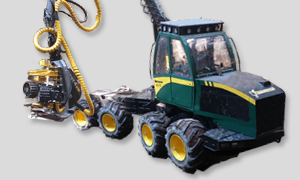 wood, cut separately, or the harvesting equipment can be harnessed solely for the harvesting of industrial wood, where necessary. 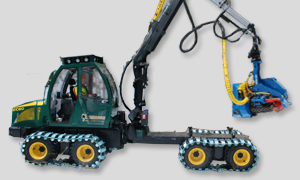 The mechanically or hydraulically variable load areas enable the best possible utilisation of the load area. 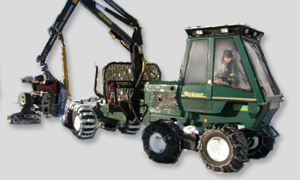 Equipped with suitable accessories, offer a solution to be used in combined industrial and energy wood harvesting. BRAKES Service and working brakes are hydraulically actuated oil-immersed multi-disc brakes Spring-actuated parking andemergency brakes.